Around The Office - August 2018 | Rocco & Associates Wealth Management, Inc.
One of the most difficult parts of our role as advisors is to talk to new clients about money. Most people are trained that money is just one of those things that doesn’t make polite dinner conversation, and in most new client relationships, that is a barrier we must cross. In these early discussions we try to remind our clients, and what we want to remind everyone this August, is that money is a tool. It does not keep this Earth spinning, nor does it keep our feet on the ground (that would be gravity!). However, like most tools, money doesn’t maintain itself. It requires knowledge, skill, practice, and maintenance to keep it sharp and working for you. All August we are going to be focusing our content on the knowledge and skills you need to keep your money sharp, which are: an understanding of your cash flow, a plan to save for your financial goals, and a mastery of your debts. It is our belief that only once you master where your money is coming from, and where it is going, can you fully utilize your money as a tool to work toward achieving your financial aspirations. In addition to the great content we will be sending your way all month, we also have a number of tools at our disposal to help you gain that clarity, including MoneyGuidePro, which is our financial planning software that many of you are using. Don’t hesitate to reach out to start the process today! As mentioned in a letter to our clients and in the press, we are excited to announce that we have affiliated with the firm, MONECO Advisors, right here in Fairfield, CT. The new alliance will allow both firms to remain independent while expanding the resources that our clients will have access to. In addition, it will give both firms increased flexibility and a greater capability to assess, design and implement a host of financial planning strategies across all areas of one's financial life. 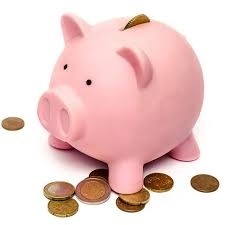 This would include, but is not limited to savings, asset management, retirement planning, tax planning, debt and risk management, education planning and wealth transfer and charitable giving. Between the two firms we will have a team of five Certified Financial Planner™ professionals, two Accredited Investment Fiduciaries™, one Certified Investment Management Analyst® designee, and two advisors with their Juris Doctorate to help meet increasing complex financial planning topics that face individuals, families and businesses today. 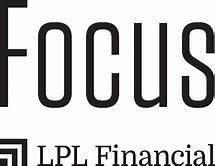 From July 29th to August 1st, Eric, Charlie, John, Chris and Trish were at LPL’s annual FOCUS conference, this year held in Boston. The conference, a 3 day long affair, brings together over 5,000 offices affiliated with LPL to hone their craft and share best practices. From how to position portfolio’s in the 10th year of a bull market, to getting more involved in the community, the topics discussed covered a wide range. The key takeaways for our firm are to: continue to improve our service experience for our clients (let us know what we can do to make your Rocco & Associates experience even better! ), continue to prepare for volatile markets (we continue to preach caution in our market outlook! ), and continue our emphasis on keeping our client's electronic data secure. Look for new developments in all these areas in the months to come!